If you find yourself yearning for a retirement of comfort in your own home in a community you love, you are definitely not alone. 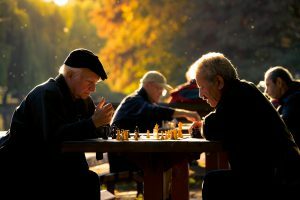 Here are some pretty telling facts and statistics surrounding the desires of older adults in the U.S..
Nearly 90 percent of seniors want to stay in their own homes as they age. Even if they begin to need day-to-day assistance or ongoing health care during retirement, 82% would prefer to stay in their homes. Most pre-retirees expect they will be able to live independently during retirement; only 14% expect they will need day-to-day assistance or ongoing health care at any point during their retirement. Thinking about parents’ getting older is on the minds of 88% of adult children. 75% of remodelers report an increase in inquiries related to aging in place. The NAHB predicts that aging in place remodeling market to be $20-$25 billion. That’s about 10 percent of the $214 billion home improvement industry. Whether it’s the desire to simply stay put through retirement, or to make modifications to the home, or even to purchase a new home, a reverse mortgage is a flexible tool to help finance any of these. ← How Does a Reverse Mortgage Affect My Taxes?